Jung believed that the “craving for alcohol was the equivalent on a low level of a spiritual thirst of our being for wholeness, expressed in medieval language: the union with God” (Levin, 1991, p. 82). Other’s (Chopra, 1997; Grof, 1990; Peck, 1993) have expressed similar beliefs. If we accept their assumption that the craving for alcohol, drugs, etc., is an expression of a spiritual thirst/hunger, then it must follow that simply removing the alcohol/drug/behavior, will only result in an increase in the intensity of the craving. Without a quenching of the “spiritual thirst” through a connection with a Higher Power, there can be no real long-lasting recovery from the addictive behavior. 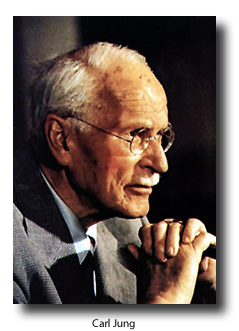 Jung understood the dilemma of those individuals who have lost control of their addictive behavior, and for whom traditional psychotherapy could offer little help. He understood their heartfelt desire to end the insanity of their addiction, and their total inability to do it. He also realized that he too, was powerlessness to help one of his alcoholic patients of this type, Roland H. When he conveyed to Roland the hopelessness of any recovery by means of medicine or psychiatry, along with his knowledge that some men of Roland’s type had recovered by means of a religious conversion experience (The AA Grapevine, Inc. 1988), Roland went in search of one. He found one, and gave this same message to his friend Ebby, who also found a temporary reprieve through religious means and, in turn, passed the message to Bill Wilson. This eventually led to Bill Wilson’s conversion experience in his hospital room (AAWSI, 1955; Peck, 1993). Bill took the experience of Roland, and the nearly 100 sober members of AA at that time, along with what he had read in William James’s book, Varieties of Religious Experience (1902), distilled the essence of their individual experiences (pun intended), and translated it into the 12 steps. He realized that it was through convincing the addict of the utter hopelessness of his or her condition, that he or she would be open to a “transforming spiritual experience.” It was for this purpose, as well as to prevent the distortion of the message they were trying to carry, that the Big Book was written (AAWSI, 1984). Bill and Dr. Bob hoped to provide a means for producing a spiritual conversion experience to other alcoholics in distant places, through the use of the written word. Inherent in each of the 12 steps is a spiritual principle or behavior, that the individual must incorporate into their daily life in order to recover. Failure to do so is an almost certain guarantee of relapse. These principles or behaviors are called spiritual, because the practice of them brings one closer to one’s own spirit, removing the fear, guilt, pain, etc., that keeps the individual separated from him or her self. Just as the recovery process requires the practice of these principles, the disease also requires the practice of certain principles in order for it to continue. As I discuss each step below, I will identify the recovery vs. the disease principles that I have found to be operating in each of the steps. A few of these (Step 1 - honesty, Step 2 - openmindedness, Step 12 - service) are similarly paired in AA literature and culture, and will be familiar to anyone who has experience with 12-step programs. Others (e.g., Step 4 - consciousness, Step 7 - hope) may present a different perspective on the psychological processes addressed in the steps.